The Southern Homestead Act of 1866 was a large-scale effort by Congress to make land ownership accessible for recently freed slaves by opening 46 million acres of public land exclusively for homesteading. Using new micro-data from Louisiana, we examine the factors that led to successful homesteading. We compare homesteaders to the agricultural population, finding few differences other than wealth. A disproportionate percentage of homesteaders were white. We substantiate some of the claims put forth in the earlier literature, such as large amounts of fraud. Further, we present a more nuanced interpretation of a greater success rate for African-Americans. Being local or non-local had no meaningful impact on white success rates but had a large impact on African-Americans. 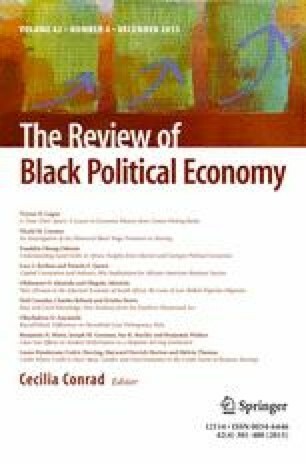 Local African-Americans were more likely to obtain title to their land while non-local African-Americans were less likely to succeed. We hypothesize that regional knowledge, kinship networks, and white resistance to non-local African-Americans are possible explanations for this racial difference. We thank several anonymous reviewers and the participants of the 2010 Agricultural History Society Conference at Rollins College for their helpful comments. We are greatful to Elbie Bentley for excellent research assistance. Partial support for this research came from Teaching and Productive Scholarship Grants from USC Upstate.